Naturage 1 exothermic spa conditioning perm (Normal, Resistant & Tinted Hair) is a virtually damage-free, low ammonia, self-heating alkaline perm that yields firm, resilient, bouncy, long-lasting curls. Naturage spa 1 conditioning perm is ideal for normal or tinted (up to 20v). 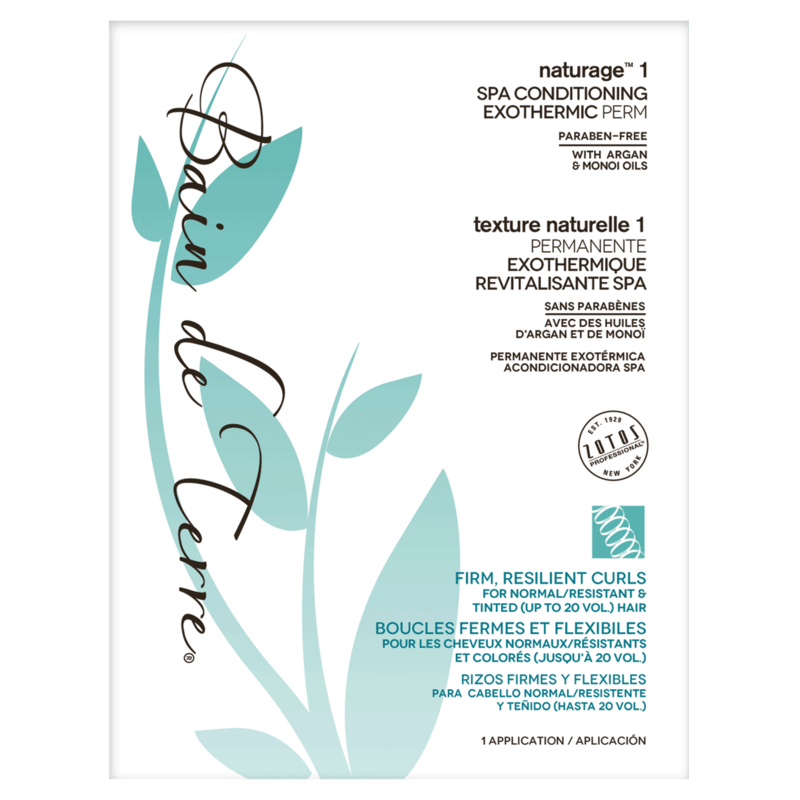 Naturage 1 exothermic spa conditioning perm features Phytosterol Action Technology to reduce chemical levels by up to 30% for improved curls. Sanguinaria, a natural deodorizer in the neutralizer, ensures permed hair will have a fresh, clean fragrance and the improved conditioning Thermalizer will provide softer, more manageable, shinier hair. The neutralizer contains natural botaniceuticals to nourish, revitalize and protect hair.